Tech News This Oppo smartphone will be the world's first 10 GB RAM handset! This Oppo smartphone will be the world's first 10 GB RAM handset! The handset manufacturer, Oppo, can launch the high-end variant of Oppo Find X soon, launched in July. The 8GB RAM variant of Oppo Find X was launched this year in India, but its top variants will get 10 GB RAM. The 10 GB variant of Oppo Find X is listed on the China Certification site TENAA. In top variants of Oppo Find X, with a 10 GB RAM, 256 GB storage can be used to save photos, videos, and so on. At present, the launch date of Oppo Find X has not been announced by the company. Firstly Twitter User Ice Universe tweeted the picture and key information of 10 GB variant of Oppo Find X. This variant has a 3,645 mAh battery, but it is still unclear whether this variant will come with VOOC or Super VOOC charging technology. Apart from this, all other specifications are similar to Find X. 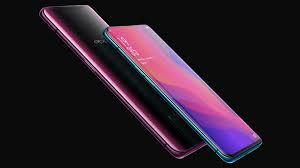 Remember that Oppo Find X's starting price is 4,999 Chinese Yuan and the 512 GB Lamborghini Edition price is 1,699 EUR. In India, the price of 8 GB / 256 GB storage variant is 59,990 rupees. The latest Oppo Smartphone runs on colorOS 5.1, which is based on the Android 8.1 Orio. The phone has a dual sim slot. Oppo Find X has a 6.42 inch Full HD + Amoled display. The screen-to-body ratio is 93.8 percent. Smartphone Corning Gorilla Glass 5 comes with the protection. Snapdragon 845 processor works in Oppo Find X. Along with the Adreno 630 GPU and 8 GB RAM. The smartphone has 256 GB of inbuilt storage. However, with the help of the SD card, the option to increase storage will not be available. Now come to the camera department. Oppo Find X has a 16+ 20 megapixel rear camera, in which F 2.0 and F 2.2 extraction are given respectively. Along with AI Portraits and AI, Scene Recognition Techniques have also been used. The front camera is 25 megapixels, in which the F 2.0 extract will be found. It will also play a better role in selfie and video calling. The smartphone has a 3730 mAh battery and VOOC Fast Charging support. Vooc Fast Charging support will be available. In terms of connectivity, the phone has USB Type C port, 4G VoLTE, Wi-Fi, Bluetooth, and GPS. Oppo Find X weighs 186 grams. The point is to note that Apple iPhone XS and Google Pixel 2 have 4 GB RAM.